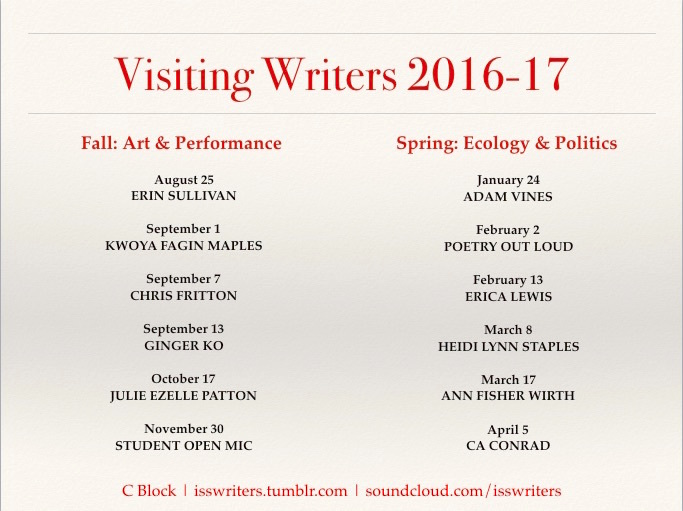 Ann Fisher-Wirth is joining the Spring: Ecology and Politics, Writers Series 2016-17. Fisher-Wirth will share an ecopoetry reading outdoors at the Hut at Indian Springs School in Pelham, Alabama. A Pushcart Prize nominee, Fisher-Wirth’s poetry has appeared in some of the most prestigious creative writing journals. She is editor of The Ecopoetry Anthology, required reading for Wilderness Literature. Follow this link for more information about Indian Springs School Writers Series.